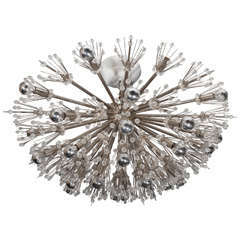 A circa 1930s French beaded crystal ceiling fixture with interior lights. Measurements: Height 11" Diameter 11". 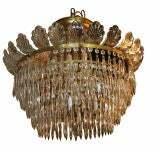 French light fixture with interior light fixture with etched and gilt opaline body, foliage detail, circa 1920. 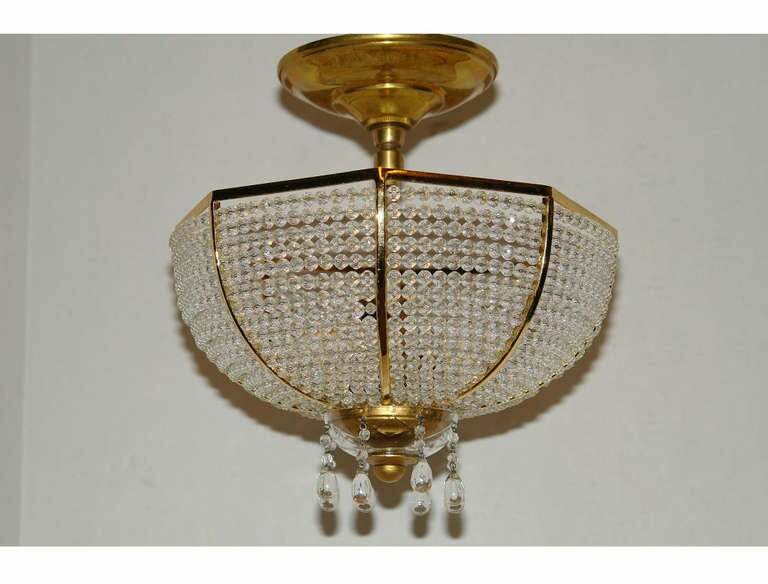 French etched crystal light fixture with interior light, white opaline glass top with gilt details, circa 1920. 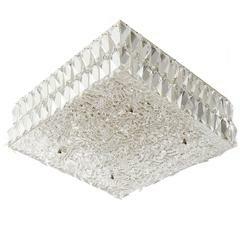 Measure: 15" drop, 8.5" diameter. 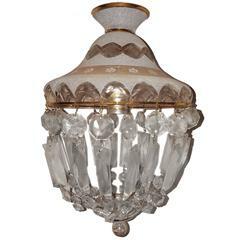 Set of 15, 1930s, French neoclassic style light fixtures with crystal pendants and crystal molded glass leaves crowning the body. 22" drop and 26" diameter. 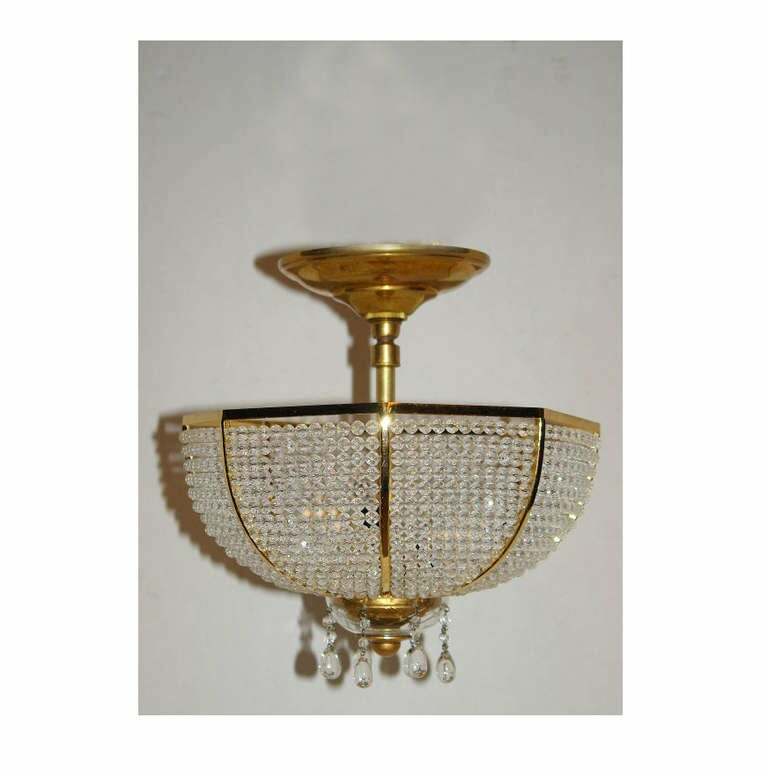 Neoclassical style ceiling fixture with strands of connected beads mounted on a brass frame and completed with a lower brass finial, French, circa 1920. 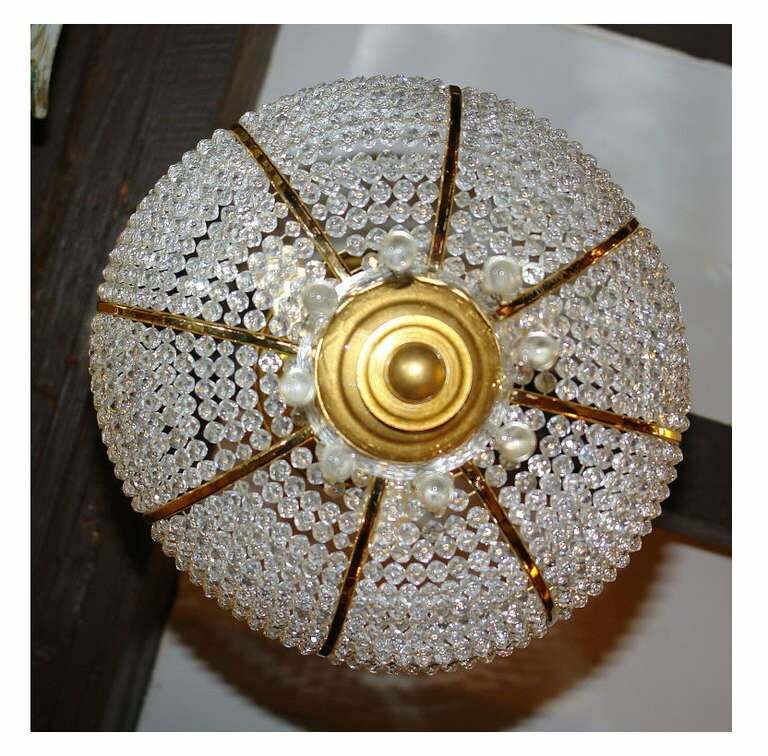 Custom flush mount crystal and nickel starburst chandelier.